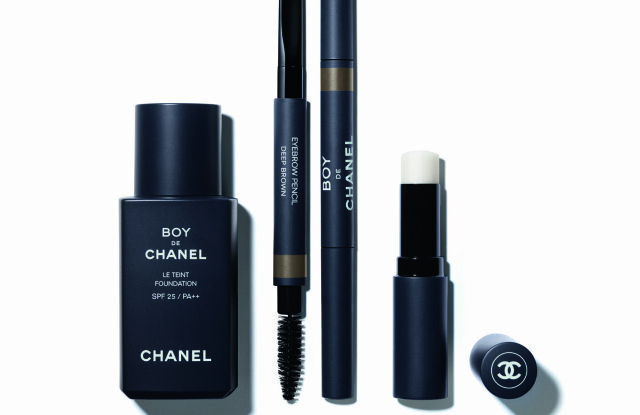 Chanel is Launching Men’s Makeup, Why Not? Chanel’s Boy franchise is named after Boy Capel, the lover, and muse of Gabrielle Chanel. The men’s makeup collection will be launching in South Korea on September 1. The East Asian nation has a booming male beauty market, with many of the biggest K-beauty obsessives being men. It will be available worldwide in November. Just as Gabrielle Chanel borrowed elements from the men’s wardrobe to dress women, Chanel draws inspiration from the women’s world to write the vocabulary of a new personal aesthetic for men. Lines, colors, attitudes, gestures….There is no absolutely feminine or masculine prerequisite: Style alone defines the person we wish to be. By creating Boy de Chanel, its first makeup line for men, Chanel reaffirms the ever-changing codes of an unchanging vision: Beauty is not a matter of gender, it is a matter of style. – the company said in a statement. Chanel isn’t the only brand thinking that. Last year, Covergirl hired YouTube star/Ebola James Charles as its first male face, while Maybelline tapped online beauty guru Manny Gutierrez as its first spokesperson, i-D reports.